Running the numbers over time. David Leonhardt of The New York Times has a good piece this week debating whether you should own or rent the roof over your head. The best part of the article is a table showing rent ratios, or the average cost of a home divided by average annual rents, for major regions across the country. As a rough rule of thumb, renting is favorable when the rent ratio is above 15. Owning starts to look attractive when it falls below 15. The decision on whether to rent or own is one my colleague Matt Koppenheffer and I have been having for months. Matt and I are good friends, but we agree on almost nothing, and end most debates with, "I don't know why I even bother with you." One thing we do agree on: Owning a home is better than renting if it's purchased for a reasonable price, and is owned for an appropriate length of time. Matt makes an additional argument for homeownership in a recent article: "A homeowner gets implied returns by nature of the fact that they're not paying rent. It's as if you've bought a home to rent out and you're the renter." That's where our views diverge. Homeowners may not pay rent to a landlord, but (most) do pay interest to a bank. For many buyers, the difference between the two is slim. The key is how mortgages amortize, or are paid off over time. Many homeowners focus on their monthly mortgage payments, aiming to pay off their loans. But only a small fraction of the payment does pay down that loan during the early years of homeownership. This reverses as time goes on. 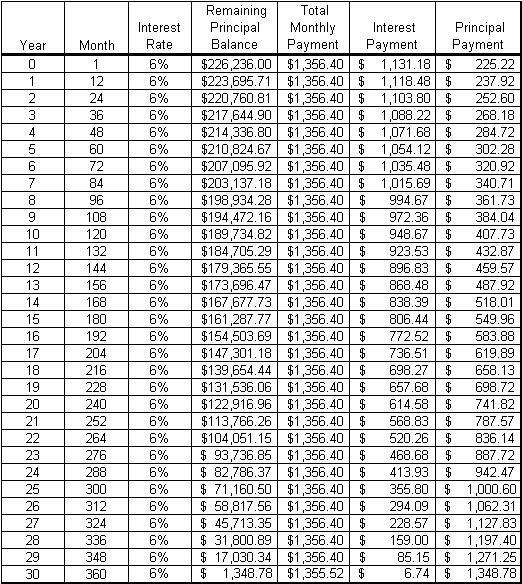 After owning a home for 15 or 20 years, monthly payments begin paying down principal in earnest. But most people don't own homes for 15 or 20 years. Data from the National Association of Realtors suggests that the average is eight years. By that time, monthly mortgage payments are still made up of 75% interest. Homeownership can be great over time -- as Matt says, it can be like renting a house to yourself -- but few stick around long enough to get to that point. Still, regardless of time, isn't having a monthly payment that's mostly interest better than one that's all rent? A lot depends on the table above. In some regions, the answer is yes, and homeownership makes sense. For others, it's a resounding no. There are a couple of counterpoints here. One is the tax deductibility of mortgage interest, which makes paying interest to a bank more valuable than paying rent to a landlord. But the tax break only applies to those who itemize deductions -- just one-third of taxpayers. Most take the standard deduction, and gain no tax benefit from mortgage interest. Second, down payments and marginal equity may grow over time as property values increase, and those gains can be leveraged by a mortgage. But that's not always the case -- and very often it is not. Adjusted for inflation, median home prices nationwide have not gained a single penny since the 1980s, and have actually lost value since the late '70s. This wasn't an anomaly. 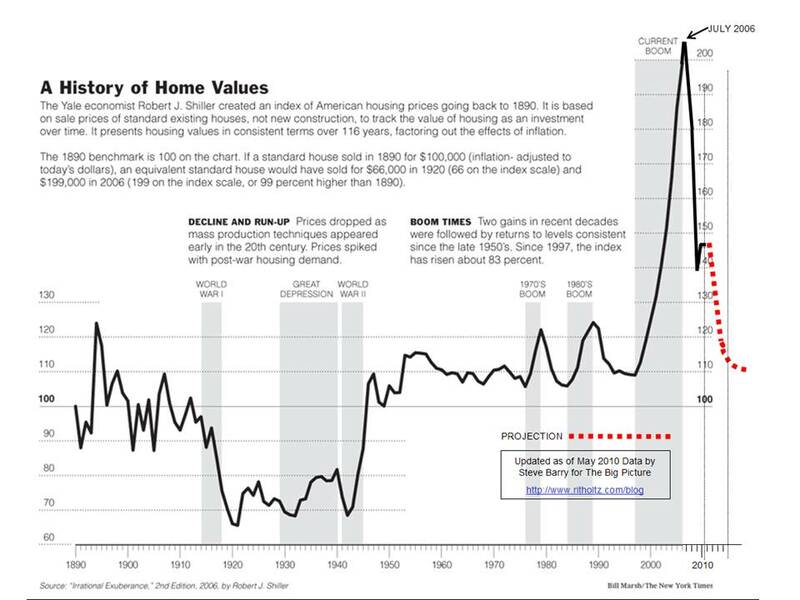 As Yale economist Robert Shiller has shown, national home values adjusted for inflation performed abysmally for almost the entire 20th century. There's also an opportunity cost. In nominal terms, the Case-Shiller National Home Index has increased 110% since 1987. The S&P 500 is up 750% over the same period. Even with leverage from a mortgage, the former often lags the latter. I'm also being kind by ignoring property taxes, insurance, maintenance, closing costs, realtor fees, and appraisal charges. There might be another counterpoint. My reasoning doesn't include is what some consider the most important reason to own a home: stability and social motives, which might trump all financial considerations. These seem like valid reasons to me. Just as long as most buyers know that's the incentive.